It hasn't been an easy couple of years for Bill Ackman, who runs the Pershing Square Capital Management hedge fund. Ackman and his investors have been pummelled recently thanks to the implosion in shares of Valeant Pharmaceuticals and the continued move higher in Herbalife. Carl Icahn, who has been on the other side of the Herbalife trade, has taken much delight in Ackman's woes, as Icahn has continued to add shares as Herbalife has moved higher. While he continues to fight his battles in Valeant and Herbalife, Ackman revealed yesterday that his hedge fund has moved onto a new target - Chipotle. In a filing that was released after the close on Tuesday, Pershing Square revealed that it has taken a 9.9% stake in the beleaguered burrito company. Shares of Chipotle jumped as a result, and are currently up roughly 5.5% on the day. Chipotle is trading well off of its all-time highs, largely thanks to an E-coli breakout that took place earlier in the year. Prior to the outbreak, Chipotle had a fantastically devoted customer base - the company is now devoting large sums of money to drawing these people back into the fold, though that process has had mixed results so far, especially with so many other options available. Ackman has said that he plans to enhance shareholder value at Chipotle by focusing on the company's operations, cost structure, strategy and governance. According to some analysts, one of Ackman's first steps will likely be to meet with company executives to pressure the company into selling restaurants to franchisees. Chipotle executives have been hesitant to do this in the past, so it will be interesting to see if Ackman has any success in this regard. Numerous analysts are scratching their heads over Ackman's latest move, with some believing that this news affords investors the perfect opportunity to exit Chipotle. Stifel analyst Paul Westra, for instance, said that he can not "fathom Pershing's operational or mathematical investment thesis." 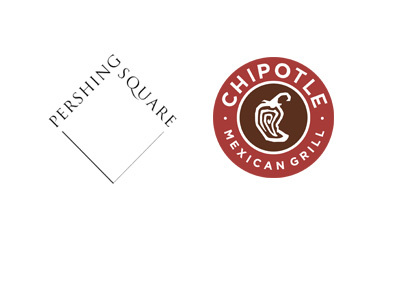 The future of Pershing Square may rest solely upon the shoulders of Chipotle and how it performs over the next couple of years. Given the recent missteps in Valeant and Herbalife, it seems hard to fathom that investors would continue to stick with Ackman if shares of Chipotle go south as well.